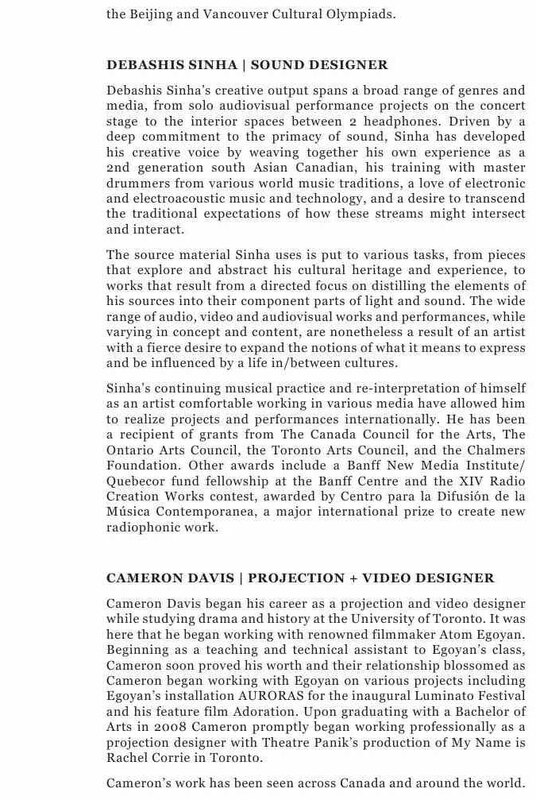 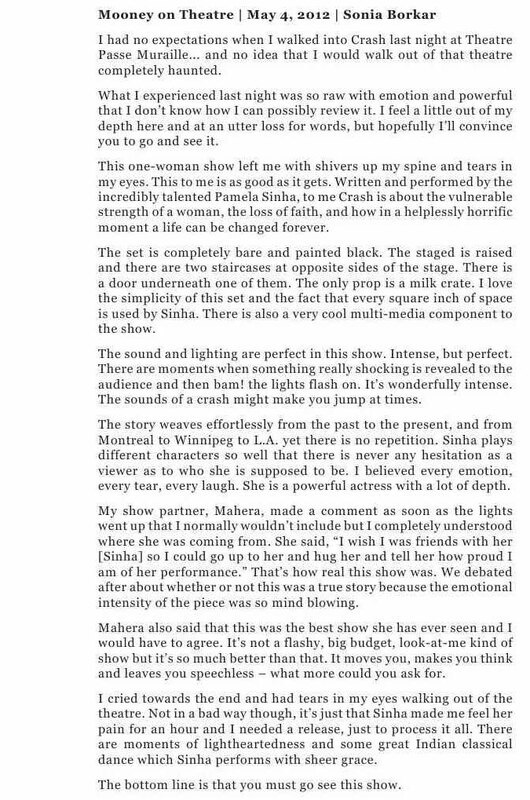 "Sinha's performance is, in both its rigour and its variety, beyond praise." 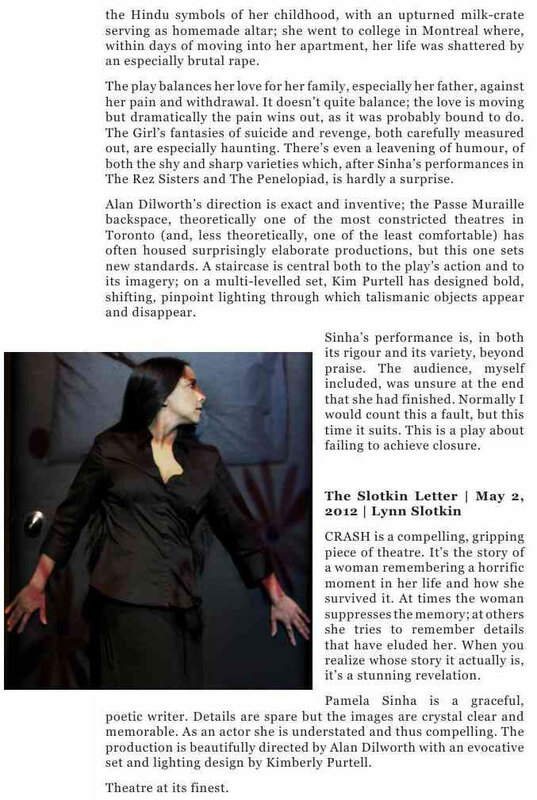 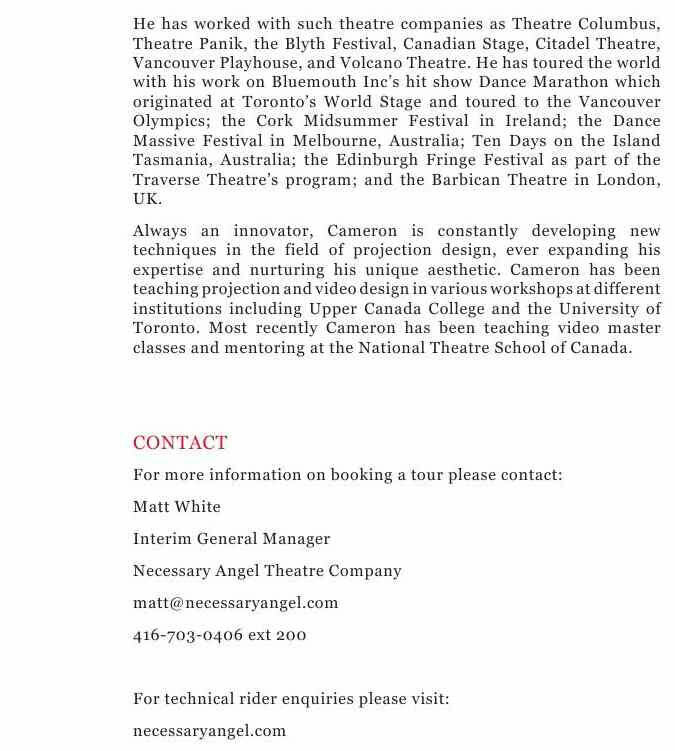 RICHMOND BC – From November 14 – 23, 2013 Gateway Theatre presents Crash: a tour de force solo show from Toronto-based artist Pamela Sinha. 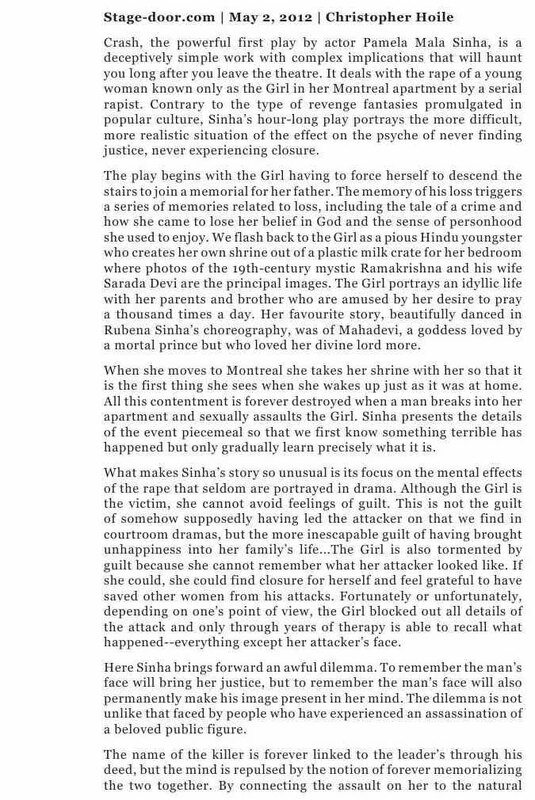 After the loss of a loved one, a woman must face the shattering memories of a past trauma. 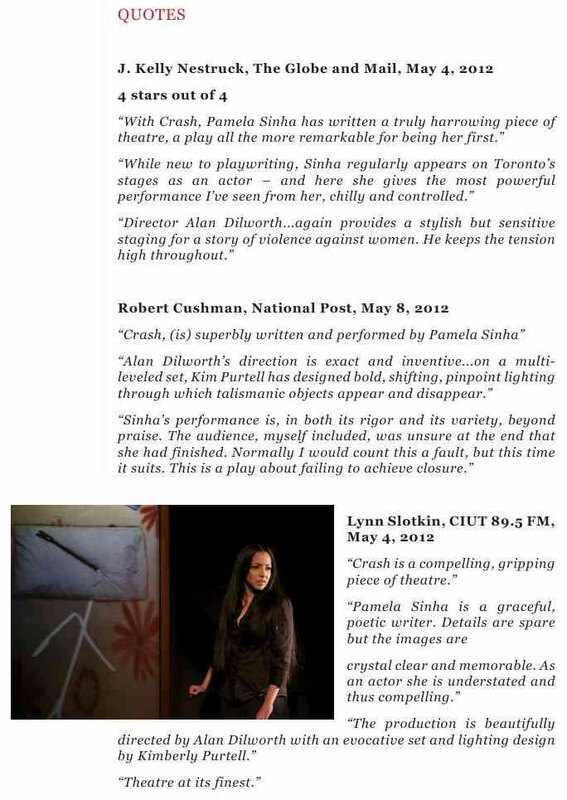 Through projections, myth, and dance, Crash is both a fractured unravelling of memory and a riveting narrative about family, faith, and love. 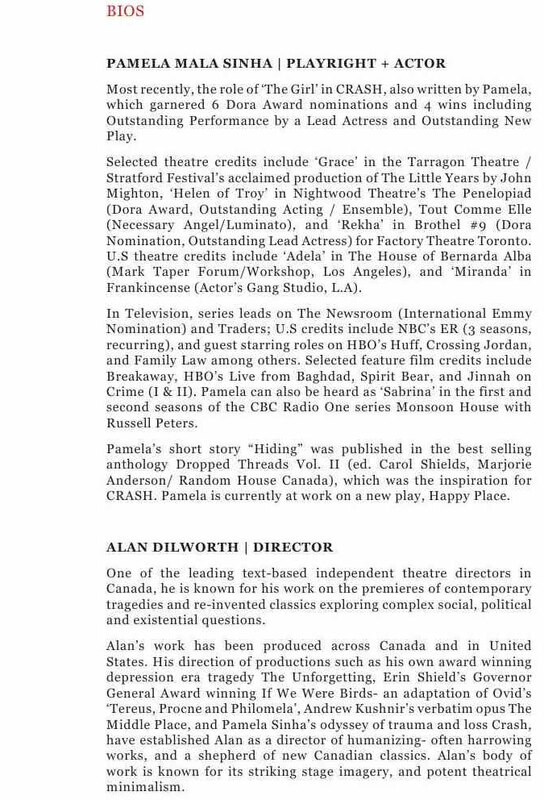 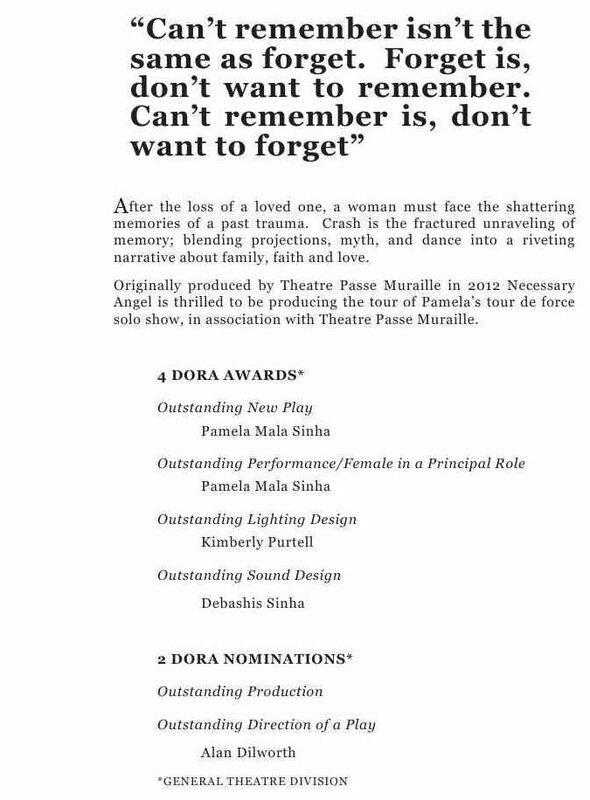 A Theatre Passe Muraille Production, in association with Necessary Angel Theatre Company, Crash won four Dora Mavor Moore Awards (Outstanding New Play, Outstanding Performance by a Female in a Principal Role, Outstanding Sound Design/Composition, Outstanding Lighting Design) and was also nominated for Outstanding Production and Outstanding Direction of a Play. 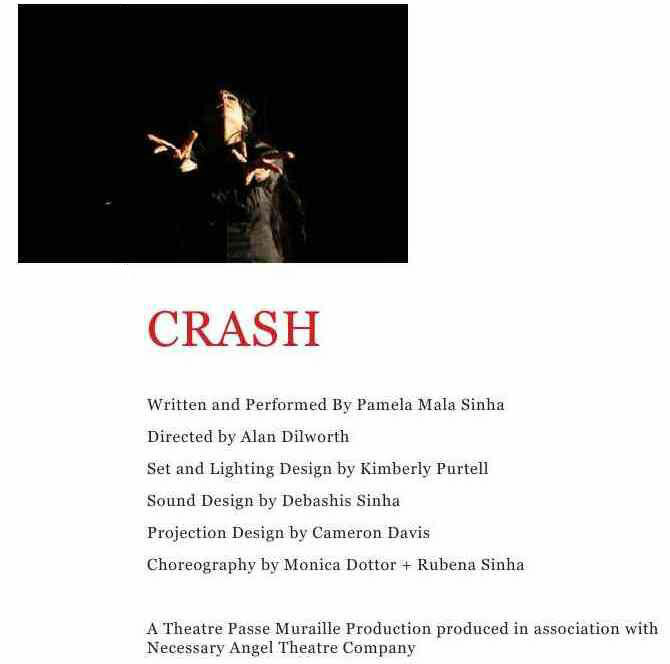 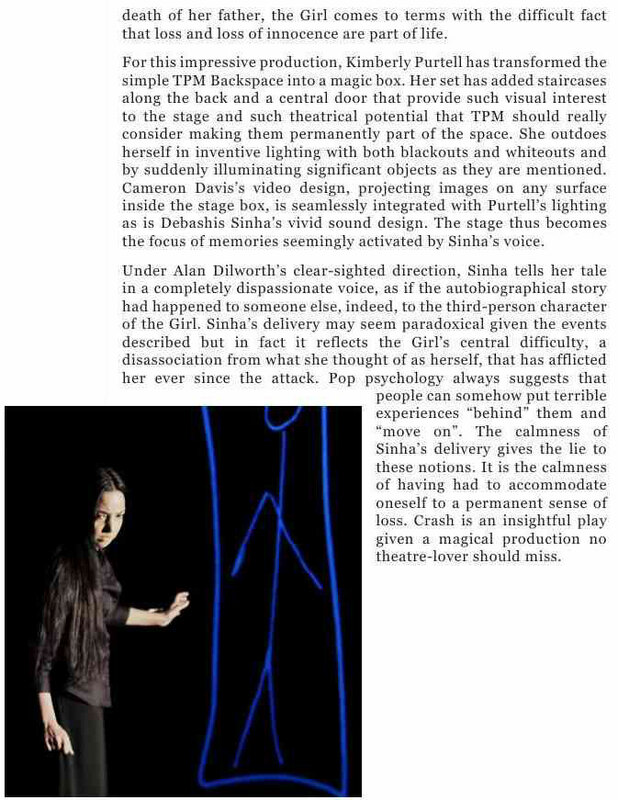 Crash is written and performed by Pamela Sinha and directed by Alan Dilworth with Set and Lighting Design by Kimberly Purtell, Sound Design by Debashis Sinha, Projection and Video Design by Cameron Davis, and Choreography by Monica Dottor + Rubena Sinha. 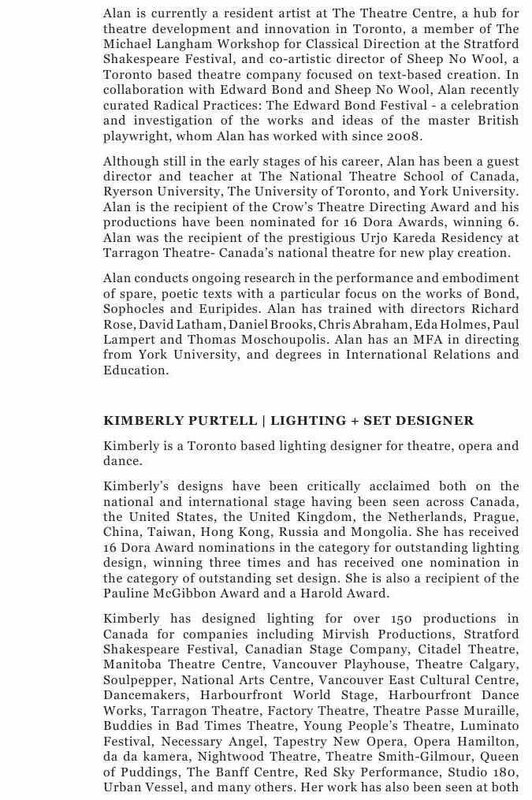 Stage Manager Marinda De Beer.